Did M. Pharm (Pharmaceutical chemistry), PhD (Pharmacy), MBA and PDCTM. Currently working as an as an Associate Professor, in department of Pharmaceutical Chemistry, Faculty of Pharmacy, AIMST university, Malaysia., with an extensive industrial and academic experience of around 12.7 years. Working as an Associate Professor, in Department of Pharmaceutical Chemistry, Faculty of Pharmacy, AIMST University, Malaysia, with an extensive industrial and academic experience of around 13 years. 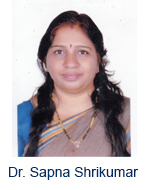 Published three books of international repute and 31 research papers in different national & international journals. Received a research project titled "Synthesis and exploration of antibiotic profile of some novel oxadiazole derivatives" in 2013, at AIMST university, Malaysia. Member of various professional bodies such as ISAS, NMR Society of India, IPGA etc. 17 Sept 2013 onwards: Presently working as an Associate Professor, in department of Pharmaceutical Chemistry, Faculty of Pharmacy, AIMST university, Semeling, Bedong Kedah, Malaysia. Interested in design, synthesis, and biological screening of anti-infectives, antibiotics, antituberculars, antioxidants, anti-inflammatory, antimalarials, and anticancer agents etc. Phytochemical investigation (isolation) and spectral interpretation/characterization of compounds. AIMST University is basically situated in Malaysia. It is registered to Malaysian government. It works under Ministry of higher education and as a tertiary educational organization. It was founded in 30 october 2001. It is among the top private universities in Malaysia and it aims at providing students a high level of education and research techniques. It provides high level of education at a very low price. The educational curriculum is basically imported from the University of Bristol which is situated in U.K. The main technique of teaching in the university include basic computer training and research so that the students can easily be prepared of the industry and can apply all the techniques easily and cope up with the industrial world. It was founded by Dato Seri Utama DR. S.Samy Vellu. Earlier he served the Malaysian government as the president of Malaysian Indian congress and has also served as the chairperson of maju Institute of Educational Development. The Board of directors include six members.